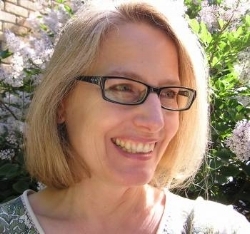 Jane Hampden Daley is a senior journalism lecturer at the University of Wisconsin-Milwaukee teaching writing, reporting and audio storytelling. At the University of Wisconsin-Milwaukee, I work with journalism students finding fresh ways to tell stories with smart reporting, digital tools and memorable writing. Before this I hosted and produced a daily interview show on WUWM Milwaukee Public Radio and before that, worked as a TV news anchor and reporter in Milwaukee and Denver. I’ve interviewed hundreds of characters from gold miners to gang members, presidents to poets.